Properly installed gutters are essential to keeping dry and damage-free living spaces. By collecting rainwater and directing it away from your home, they can keep the structure intact while preventing water and mold damage. That’s why, when your gutters are already failing, the better and longer-lasting solution is full replacement from a trusted company like Independent Construction. We have helped North Carolina homeowners with their gutter needs since 2008, providing high-quality systems that use the latest in seamless gutter machinery. Our options combine functionality and good looks–a dramatic upgrade that Independent Construction can provide to every customer. You’ll be relying on your new gutters to protect your home from extensive water damage. While the traditional choice is sectional gutters, why not choose something more durable and maintenance-free? 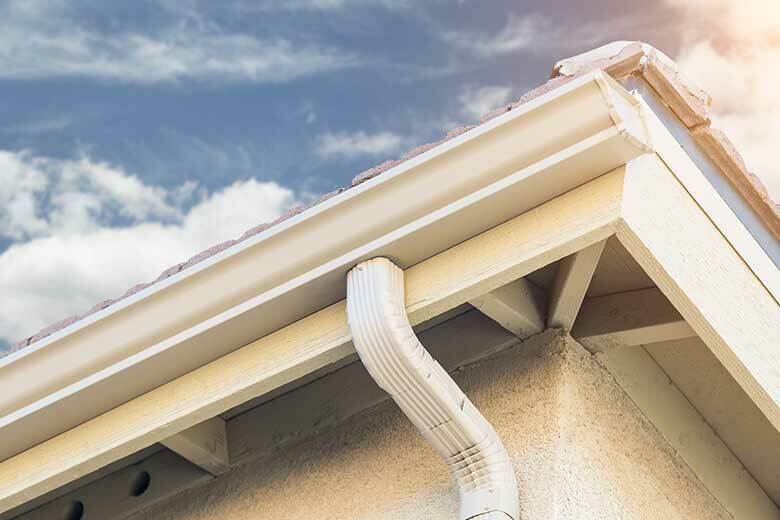 Independent Construction’s seamless gutters can provide the superior draining performance you need, minus the hassle of constant repair and maintenance. They are created with a single, continuous piece of tubing, which eliminates unsightly seams and bolts. Because they lack the joints usually found on sectional ones, seamless gutters help prevent leaks. This means less potential for weather damage and frequent upkeep. When you choose Independent Construction for new gutter installation in Asheville, NC and the surrounding areas, we’ll make sure the work runs safely and smoothly. This means no callbacks to fix mistakes and no additional costs–only the superior workmanship and complete client satisfaction you’ve come to expect. We also have the applicable insurance to better protect you and your investment. Additionally, Independent Construction specializes in different gutter materials, including aluminum, copper, and vinyl. We’ll help you decide which choice best suits your needs and budget. Because your new seamless gutters are precisely measured and specifically crafted to match the structure, you no longer have to worry about leaks. You’re also sure that they’ll complement your home’s style and color scheme perfectly. Keep your home protected from water damage by turning to Independent Construction for your gutter replacement needs. With our top-quality materials and professional crew, we’ll help you get the most of your investment. Call us today at (828) 358-1780 or fill out this contact form to schedule your consultation.